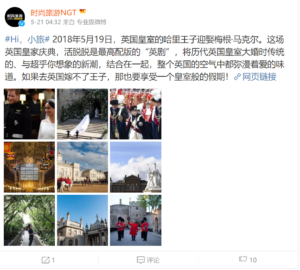 In early 2018, we started conversations with our contacts at National Geographic Traveller Magazine China about visiting the UK to write a feature to coincide with the forthcoming Royal Wedding. The senior writer at Nat Geo is Mr Han, a fan of art history and of the UK. 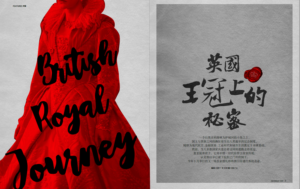 We embarked on a project to bring Mr Han, a videographer, and photographer, and Sarah our Chinese PR Director, over to England to write a feature about Royal Britain. We worked with a host of attractions in and around London to deliver an exciting, jam-packed trip for the journalists. 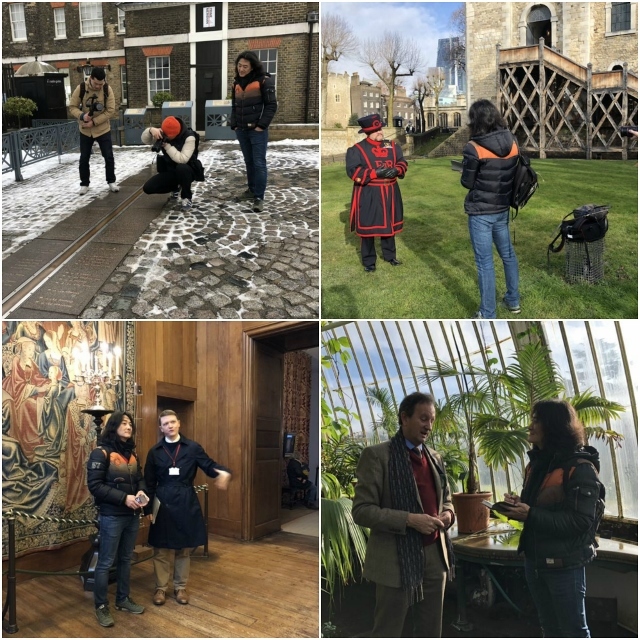 The team enjoyed four nights in London, immersing themselves in the lived histories of Historic Royal Palaces’ Hampton Court, Kensington Palace, and the Tower of London, Royal Museums Greenwich’s Queen’s House, Cutty Sark, and Royal Observatory, and the English Heritage site Eltham Palace. They also experienced royal tradition and elaborate ceremony at the Household Cavalry Museum. The trip offered the journalists many picturesque sights, from the overwhelming natural beauty of Kew Gardens, to the panorama of London’s iconic attractions seen from a City Cruises boat from Greenwich to Westminster. The team went on from London to Dover to see the grandiose White Cliffs and Dover Castle, England’s largest castle. The trip concluded with three nights in Brighton, organised in collaboration with VisitBrighton. Here, they visited the party palace of another prince – the Royal Pavilion, went to a pub, saw the Seven Sisters, and even stayed out til the wee hours at the student night at one of the seafront clubs. We organised exclusive interviews with the museum curators, directors and historical experts to ensure that the resulting feature was full of colour and engaging stories about Britain’s royal heritage. The article hit the newsstands before the Royal Wedding and the associated social media was released on the happy day. With so many partners involved, this was a complex press trip to organise, but the results made it all worthwhile. The feature ran to 22 pages with an overall value of £737,000. The magazine receives a circulation of 977,000 copies per month, and has a readership of 2,931,000. The trip received fantastic coverage on National Geographic Traveler China’s official WeChat and Weibo accounts. WeChat has over 1 billion active monthly users, and at the time of writing, the National Geographic Traveler Weibo account has 612,200 followers. Evidently, these posts had huge potential reach. The videographer’s beautiful work is showcased in a video of the trip, which featured on various mainstream Chinese video websites under official National Geographic Traveler accounts, including Tencent, Tudou, and Youku. We were delighted with the results of this project, and it was great to see it all come together to promote Britain in such a prestigious title. Click here to view the National Geographic Traveler Magazine China Royal Britain feature.